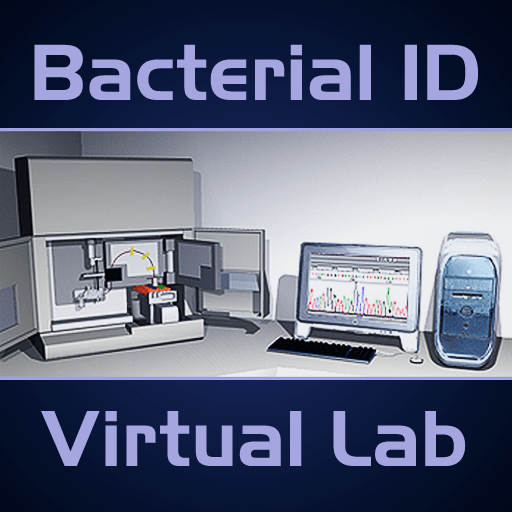 The Virtual Bacteria ID Lab(VBIL) is an app produced and distributed for free by Howard Hughes Medical Institute. It also happens to be an extension of a flash program they already have running on the HHMI website. SEP had originally downloaded VBIL because it had pretty decent reviews and differed from the other “simpler” science related apps that were tried. VBIL lets the user effectually complete a lab by making basic finger swipes on different graphics that the app presents. For example, the user presses microtube to add the PCR master mix in order to advance the app. The micropippette floats in off screen and adds the extracts and adds the master mix then floats back off screen for you to press and complete the next step. The app automatically demonstrates proper technique and human error elements are completely removed from the equation. I have to admit this app is a little over my head. It’s college level material and probably shouldn’t be used in a high school setting except maybe in an AP course. The terminology alone is not easily understood unless you’ve already had a few Biology courses past the 101 level. Overall, I do like the way this app is advancing what we assumed the iPad’s capabilities. Seeing an app that’s pushing the boundaries is refreshing even if the target audience is rather limited. You can’t fault HHMI for producing an app that’s advanced and scientifically accurate into a sea of apps riddled with errors and seemingly made for an eighth grade science curriculum. This entry was posted in Apps, Education, iPad, Technology. Bookmark the permalink.